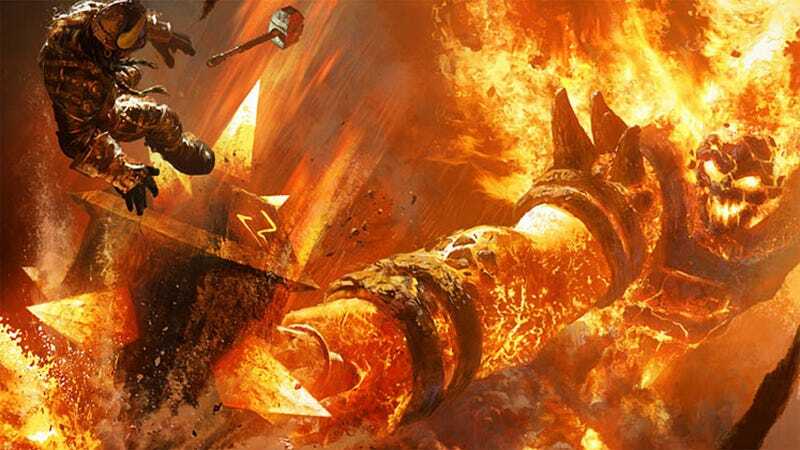 Last night Blizzard brought the banhammer down on botters and scripters in World of Warcraft, passing out six- to eighteen-month suspensions for players caught using a number of popular third-party programs. Watching the programs’ forums fill up with ban reports is a hell of a thing. According to reports posted on the World of Warcraft forums, shortly before 11 PM Eastern last night there was a spike of lag in game, a common precursor to a large ban wave. Then players affected by the ban were disconnected from the game. A member of r/WoW posted a copy of the message received shortly thereafter. First-time offenders were issued six-month suspensions, while repeat offenders will not be able to play their accounts until April of 2019. The main target of the ban wave seems to have been players who utilized a handful of third-party programs designed to automate game process like questing, leveling and resource gathering. One such program, Honor Buddy, has a special “Ban Section” on its forums. It’s been pretty active since last night. The forum for Easy WoW Tools (EWT) at hacking/exploit site OwnedCore has been receiving similar reports from users, many saying that even using some of the cheating packages more benign, passive functions resulted in bans. Banning/suspension support site Unbanster reports that FireHack, Type: Omega and Soapbox Rotations were also affected. Players unaffected by the bans are lauding Blizzard’s efforts to keep the aging MMO fair and balanced. Those who were effected are likely pouting, shrugging or starting up new accounts.